Squany Island – Games for Windows Phone 2018 – Free download. Squany Island – Move stones toward the portal. 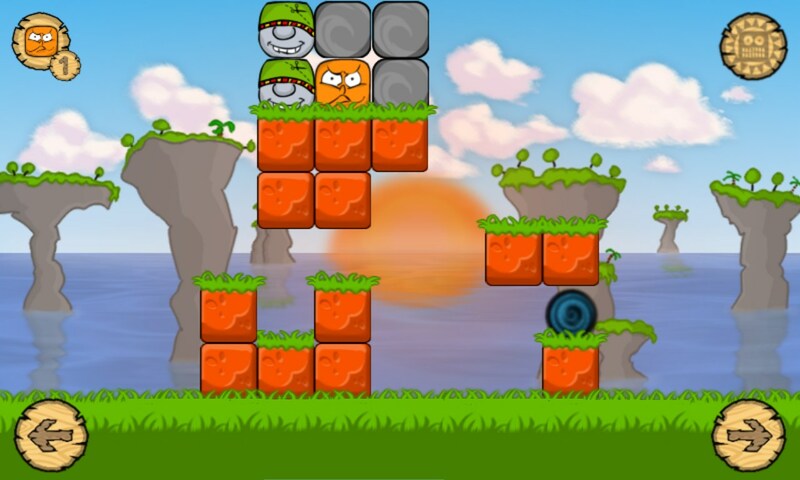 Squany Island is a very unusual puzzle game for Windows Phone, the main characters of which will become stones. Moreover, the stones are not only alive, but also have differing abilities, powers, and oddly enough the mood. However, the last will be only displayed by the expression of their faces, but you will have to apply their different abilities throughout the game. The gameplay in Squany Island is quite stretched. And not because you have to perform lots of different operations in a single level returning once again to one and the same place, but because the stones are moving very slowly. In order to solve the problem, you have to carefully analyze the situation and calculate moves a few steps ahead. In this respect, the game is probably not inferior to the complexity of even chess. So, all you have to do is bring the number of different stones indicated in the upper left corner of the screen to the portal. There may be much more stones on the playing field, but you have to sacrifice some of them. 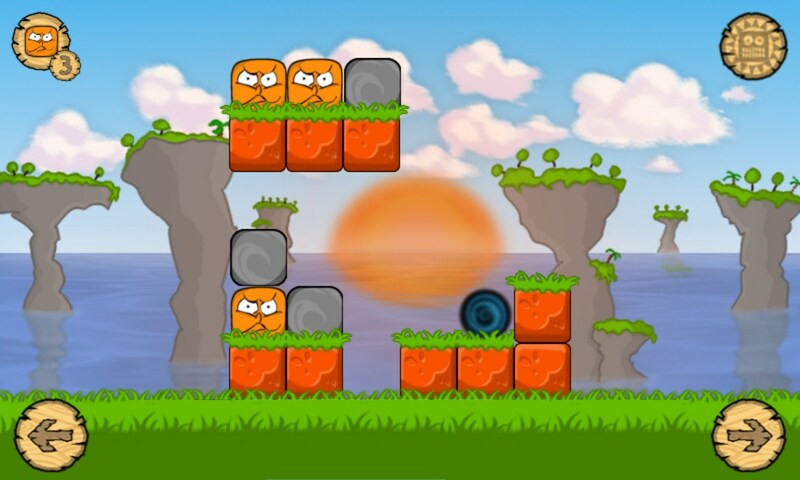 At this, you have to watch so that the only stones stuck in the game are those that do not need to get to the portal. Looking at the screenshots, it is easy to imagine a pyramid of multi-colored boulders which you have to take to pieces. On the way to the portal there may be precipies that need to be filled up with the inanimate stones, or you may sacrifice unnecessary living stones and turn them into a pavement. The caveat here is that some stones can only move on straight sections and fall into the abyss while others are able to move what is in their way. However, the obstacle must be singular. Otherwise, even a strong unit will fail the task and gets stuck on the playing field once and for all. Generally speaking, the most important thing in the game is to identify the correct sequence of moves and not to be mistaken with the direction of movement. 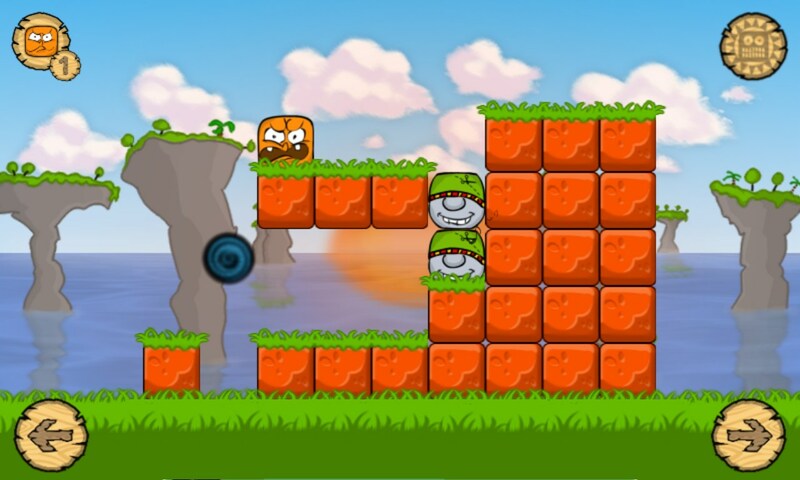 Game controlling is carried out by means of two virtual buttons at the right and left bottom corners of the screen. 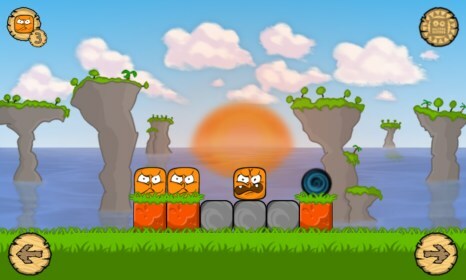 Before you start to move the blocks, you have to first select the one you want with a click. The game has nice graphics made in a cartoon style, and good animation. Especially amusing are the moments when the stones begin to grumble or be happy that they have been disturbed again. The soundtrack consists of pleasant music and cheers of characters. 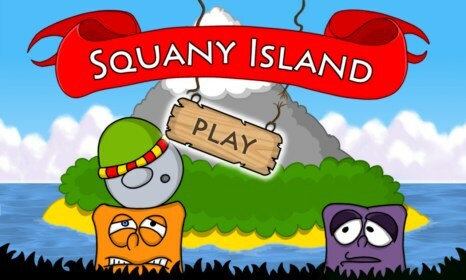 If you do have a lot of free time, Squany Island will easily kill it, but it is rather useless to run the game for a few minutes.